The device above is called a “Red Crystal.” It is the emblem that the International Committee of the Red Cross (ICRC) and Israel’s Magen David Adom (MDA) seem to have agreed that Israel must put on its ambulances instead of the traditional Magen David, if MDA is to be allowed to join the international organization (one wonders if MDA will have to change its name as well). The story of the emblems is instructive. Emblems are practically important, because an ICRC-recognized emblem is ‘protected’ in wartime — shooting at a person or vehicle bearing a protected emblem is considered a war crime. When the ICRC admitted Turkey and Egypt as members in 1929, they naturally did not want to use the cross, symbol of the hated crusaders, as their emblem; so they requested and got permission to use a red crescent. 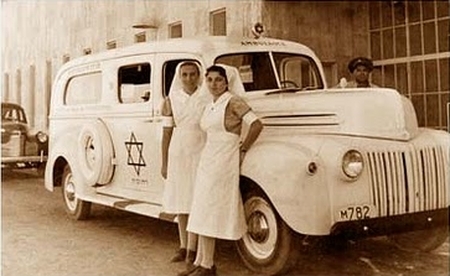 But when MDA came along in 1931 and wanted its Magen David to be ‘protected’, the ICRC refused. “What if everyone wanted their own symbol?” they asked, in effect. Only the cross and the crescent were accepted (there is also a ‘red lion and sun’ emblem which nobody uses). I don’t think I need to point out that it is notable that Muslim sensitivities about the cross were considered important, while Jewish ones — after all, Jews suffered at the hands of those bearing the cross no less than Muslims — were not. Certain Arab nations, such as Syria, also protested the entry of MDA into the Red Cross movement, making consensus impossible for a time. 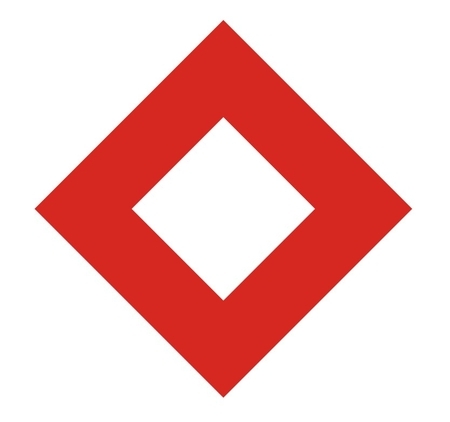 However, from 2000 to 2006 the American Red Cross withheld its dues (a total of $42 million) to the International Federation of Red Cross and Red Crescent Societies (IFRC) because of IFRC’s refusal to admit MDA; this ultimately led to the creation of the Red Crystal emblem and the admission of MDA on June 22, 2006. The Red Star of David is not recognized as a protected symbol outside Israel; instead the MDA uses the Red Crystal emblem during international operations in order to ensure protection. So there was a compromise: Israel could join but it couldn’t use a Jewish symbol. I suggest that it was a very poor compromise. The symbolic significance of the Magen David is great, and when did Israel’s enemies worry about committing war crimes, anyway? But as always, the pragmatic Israeli attitude was that symbols don’t matter. This is a serious mistake in a world, and especially a Middle East, where symbols often matter a great deal. The details of the compromise have not been made public until recently. And they are shocking. “MDA and PRCS recognize that PRCS is the authorized national society in the Palestinian territory and that this territory is within the geographical scope of the operational activities and of the competences of PRCS”. This implies that the land outside the 1949 armistice lines is “Palestinian territory,” something that contradicts relevant Security Council resolutions and agreements between Israel and the Palestinian Authority, not to mention the positions of the Israeli and US governments. Since the agreement puts Judea and Samaria outside the borders of the state of Israel, it does not permit the establishment of MDA chapters there, only that Israeli ambulances may travel there with the consent of the PRCS. Only the PRCS is ‘authorized’ in the area. Whether this will allow MDA ambulances or crews to be based in Judea and Samaria is not clear. One wonders how this will affect service to Jewish communities in the territories. Will MDA have to get permission from Palestinians before picking up an accident (or terrorism) victim there? Israeli ambulances in the territories may not use the traditional Magen David emblem, but must use the crystal, because this is an ‘international operation’ according to the memorandum. And after the “Third Additional Protocol” goes into effect, it would seem that MDA, inside the Green Line, will be forced to replace its traditional emblem with a small Magen David within a crystal in order to comply with ICRC rules. In addition, it has been alleged that MDA chapters received cash payments of $100,000 each to approve the agreement, and even that these payments went directly to chapter officials. Lately ambulances in the territories have begun appearing with the new emblems, and residents have been protesting by covering them with Magen David stickers, refusing to volunteer, etc. Of course, they have already changed the emblems on the ambulances. With all due respect, a bill to require the “same service” is not what is needed. What ought to happen, in addition to an investigation of who received money from the ICRC and what they did with it, is that the compromise agreement with the ICRC is thrown in the mizbaleh [trash dump] where it belongs, along with the stupid and degrading ‘crystal’ emblem. MDA has gone some 80-odd years without ICRC recognition, and if it isn’t possible to get it without agreeing to the territorial pretensions of Israel’s enemies, it may have to wait a bit longer. This entry was posted on Tuesday, November 29th, 2011 at 10:09 pm and is filed under General. You can follow any responses to this entry through the RSS 2.0 feed. Both comments and pings are currently closed. The disgraced Ehud Olmert consented to the “deal with the devil.” Which essentially amounted to Jews being forced to eliminate their religious symbol in order to make the Jew-hating ICRC feel comfortable. Its time for Magen David Adom to quit and to scrap the Red Crystal agreement. The outrage to Israel’s national sensibilities is not worth the questionable prestige of remaining in that den of veritable anti-Semites and haters of Israel. This alone shows that Israel is treated unfairly. Theres no rational reason for MDA to not be allowed and use its symbol.